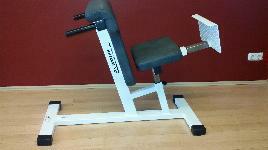 A hyperextension bench strains several parts of the back and serves for stretching of the back and glute muscles. Hyperextension means in the medical sense a strong stretching of joints. 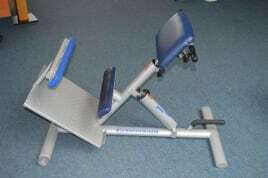 There are foldable and adjustable hyperextension benches. 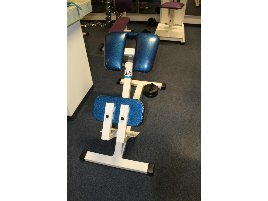 A similar exercise with the same training aim, but without this training bench is called “Superman” because the athlete is in a flying position with the arms stretched forward. The athlete lies on the bench from the hip downwards facing the ground. The feet are fixed under the pads to allow a secure hold. At first he or she has to bend the upper body in a right angle downwards and then erect it slowly until it is in flat position. This movement should be repeated several times. 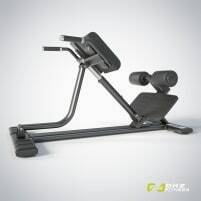 To increase the level of difficulty you can also train with weights in the hands or maximize the number of repeats. 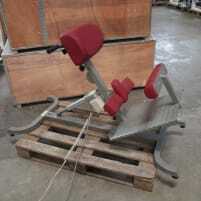 For this kind of training it is not urgently necessary to train on a hyperextension bench. 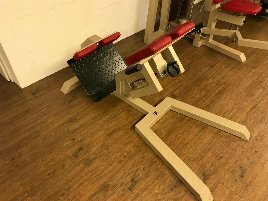 If you want to do the training at home without a hyperextension bench, the following alternative training is possible: Lie prone and stretch the arms in front looking to the ground. Then strain your back and glute muscles and lift the legs, arms and upper body, so only the abdominal touches the ground. Hold this position for several seconds and go back to the starting position. An exercise which can be done without risk at home. This exercise is called “Superman” because the athlete is in a flying position with the arms stretched forward. 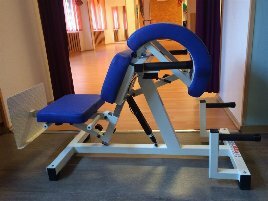 Despite this alternative exercise, it is of course recommendable to buy a new or used hyperextension bench for home training and do the exercises on the bench to avoid to be in a hollow back posture too often. 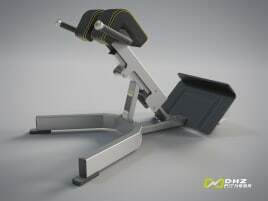 A new or used hyperextension bench is advantageous because you don’t have to leave your house and go to a gym, but are able to train whenever you want at home. 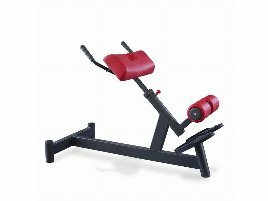 If you buy additional dumbbells, you can even increase the level of difficulty. 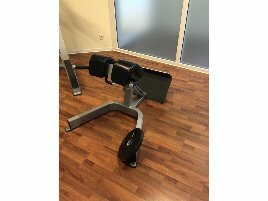 If you want to sell a new or used hyperextension bench, you can insert the ad with a detailed description. Pictures of your used or new article will even increase your chances of sale.